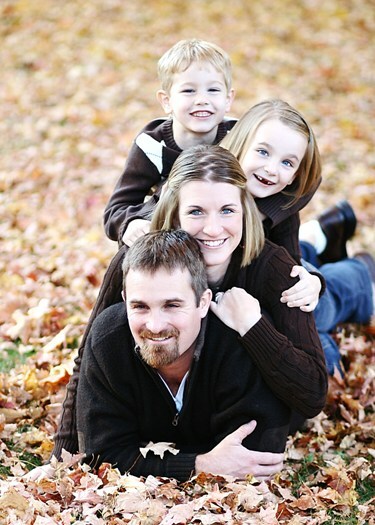 We’re David and Gina Anderson, born and raised in the frigid north of the Yukon Territory. Even though we lived in in Nova Scotia for 3 years and Indiana for more than 6 years, the north is still very much our home and we’re both extremely excited to have returned and settled in Whitehorse, Yukon to raise our family. Gina homeschooled our 2 children for a number of years and she loved being able to stay home and spend this time with the kids. They grow and change so quickly. Currently, the kids have headed off to school and Gina is focusing her attention on Labradoodles of the North and dog training. We found the Australian Labradoodles when we were searching for a family pet that wouldn’t bother Gina’s allergies and would be able to go running with us. David wanted a dog that is fun and active and Gina (who is a bit of a neat freak) wanted a dog that didn’t shed. 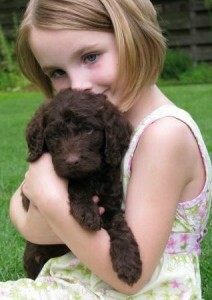 The Australian Labradoodle fullfilled our wishlist perfectly and it was love at first sight! When we brought our first puppy home, we discovered that she really didn’t shed, she was great with our two young children, and she was a quick learner. 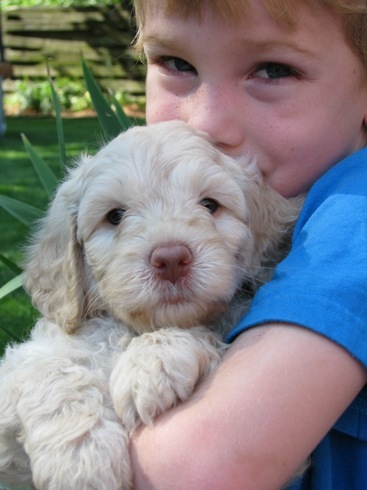 That’s when we decided that we wanted to fill our lives with these lovely creatures and help other families find the joy of having an Australian Labradoodle as part of their family. While living in Indiana in 2007, we started ArborGate Labradoodles. Gina continues to manage this breeding program with the help of a trusted assistant who raises the puppies in her Indiana home. Now that we are settled here in Whitehorse, Gina couldn’t wait to raise puppies in her home again…and thus, Labradoodles of the North was born. We believe that each dog deserves a loving family and it’s for this reason that we’ve chosen to use Guardian Families. Each dog in our breeding program lives in a loving Guardian Family and simply visit us on occasion for breeding purposes. This approach allows us to have a breeding program while still ensuring that each dog is a beloved member of a family of it’s very own. David has completed his PhD in Philosophy at Purdue University in Indiana. He spent a number of years working as a professor at Simon Fraser University in Vancouver, BC. After a long day at school with his head in the books, it was nice to come home to his wife, kids and dogs. Often he arrived home to find Makiah reading stories on the dog bed with Piper. Piper lies on his feet at night while we’re relaxing and loves running and catching the frisbee outside. With all the women in the house, Theo and David are glad our man Zeus is around to even things out. Speaking of Zeus, he’s a trained Therapy Dog and we both enjoyed serving the community by taking him to visit senior care facilities, local school reading programs and hospitals. Now that we’ve returned to Whitehorse, we hope to promote and engage in similar activities here. We are an active family and our dogs go everywhere with us. Our dogs enjoy a run each morning, tons of car rides to soccer games, lots of love at home and regular training sessions. Gina has a passion for dog training and obedience so she is always working with the dogs and puppies. Our puppies are loved on from day 1. We are constantly handling and playing with puppies or just watching them sleep, eat and grow. Gina loses hours just sitting by the whelping box, enjoying the puppies and watching their little personalities emerge. Since Gina is home during the day, it allows her to spend plenty of time with the dogs and puppies. We are very lucky to be able to breed these wonderful dogs and it has given Gina something to call her own. She takes great pride in her breeding programs and goes above and beyond when it comes to customer service. She likes to get to know each one of the families that are adopting one of our puppies. Staying in touch with the families is both a privilege and a blessing. Gina puts a piece of herself into everything she does and watching new families fall in love with their puppies is her favorite part.